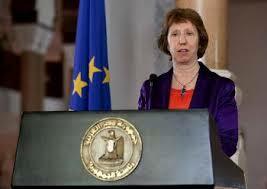 As EU High Representative Catherine Ashton visits Cairo this week, both Europe and Egypt will think about how they can mould a new relationship. With a newly elected Egyptian President the EU must in turn create a new framework for cooperation with the country. The last thing that Egyptians want is to be told what to do by the EU. As the Arab world’s most populous state stumbles on its path towards democracy and Europe itself struggles economically, can the EU really establish a new and mutually beneficial relationship with a changed Egypt? Following the Arab uprisings, the EU responded with a new policy towards its Southern Neighbourhood under the slogan of ‘more for more’ and ‘money, markets and mobility’ (the so-called 3Ms). As the first anniversaries of revolutions have arrived and passed it is worth considering if this new policy is sufficient and focused enough in the long-run. As Europe grapples with its economic crisis it has less money to offer revolutionary Arab states. It may not be able to deliver on all of its promises of financial aid, markets access and greater freedom of movement. However, the EU still has leverage in Cairo and it should make itself relevant. How, what can it do? As Egypt’s foreign reserves dwindle, the EU can, and should, offer macroeconomic help to help drag the Egyptian economy to safety. In 2010 more than thirty percent of Egypt’s exports were to Europe; as a block, the EU is Egypt’s largest trading partner. The EU could provide more assistance to European companies willing to invest in Egypt. Traditionally, companies from EU member states intending to invest abroad first approach their national missions as they usually have a large capacity to network and have good contacts. Funds should be allocated to EU Delegations to help facilitate more foreign investment and to pool European knowledge on how and where to invest. Europe could create ‘centres of expertise’ that would help Egyptian companies bring private funds into the country. The EU, in partnership with the European Investment Bank and the European Bank for Reconstruction and Development, could also explore more options in making European investors feel secure in the country. Understandably, it cannot guarantee investments but could look at ways to encourage reform in Egypt to address investor’s concerns. Also, assistance from Europe could help boost tourism by promoting Egypt as a safe destination. Smaller EU posts could be set up near major tourist areas and be allocated staff to deal with EU citizen’s safety and security to complement those of EU member states. Further, Europe can play a role in developing the cornerstone of any thriving democracy: civil society. With its funds earmarked for Egyptian NGOs, Europe can have an impact on a grassroots level by promoting civil society. However, NGOs in Egypt and across the region complain about the complicated and time consuming process of applying for EU funding, draining resources and attention from their primary areas of work. Streamlining the paperwork and reducing the time needed to comply with funding rules and regulations is something the EU could do fairly easily. “ ‘Aish, houriyah wa ‘adalah igtima’yah” or “bread, freedom and social justice” was the slogan protesters chanted in the streets of Cairo. Bread was first, but the three are inseparable in the minds of many of the protesters. A democratic transition needs to take place in tandem with economic growth. Both partners now have an historic opportunity to create a lasting relationship. A more humbled EU can present itself as a partner as opposed to a parent, but not at the expense of losing track of its values. Europe’s calls for democracy and respect for human rights are a step in the right direction and should not be muted in the name of stability, but Europe must offer something in return for this relationship to work. Anthony Zielicki is a Programme Officer for the Middle East and North Africa Programme at the European Council on Foreign Relations. This blog post features the author’s personal views and does not represent the view of ECDPM. We are a non-partisan think-tank, seeking to stimulate debate between actors with different views. If you would like to make a contribution on EU-North Africa relations please contact us.